Car accidents are an inevitable event on the road, but there’s plenty you can do to avoid being in one of them. According to the National Highway Transportation Safety Administration, over 15 thousand people are in car accidents every day in the United States. The NTHSA estimates human error accounts for roughly 93 percent of all those accidents. On the optimistic side, that means that there’s a lot of potential to bring that number down by teaching people how to be better drivers. The following five crash types are common collisions that drivers can avoid with defensive and safe driving techniques. Around 34 percent of driver-caused crashes are attributed to decision errors, which includes things like driving aggressively and speeding. Many rear-end collisions, or where one vehicle, crashes in to the back of another vehicle, could’ve been avoided if the at-fault driver was paying attention and maintaining a safe following distance. Rear-endings make up 29 percent of all crashes and an estimated 64 percent of those crashes happened because the driver in the back car was not looking at the road. The best thing you can do as a driver to avoid rear-ending another vehicle is to keep your eyes on the road. It sounds simple, but there are dozens of distractions you have to teach yourself to ignore. Taking your eyes off the road for a few seconds to mess with the stereo, answer a phone call, or adjust the GPS can make the difference between reaching your destination and wrecking your car. You can also minimize your rear-ending risk by keeping a safe following distance and controlling your speed. Hitting a parked vehicle is not only easily avoidable, but it’s also quite embarrassing. Aside from parking correctly, there’s not much drivers can do to stop someone else from hitting their parked car. Patience is essential to avoid collisions with parked vehicles. If you try to move-in or back-out of a parking spot too quickly or try to squeeze in to a closer spot instead of driving farther away and picking an open spot you may find yourself exchanging paint and insurance information. If you’re not absolutely sure you can fit in a spot, don’t even bother trying to take it: find another one. If you can’t move into a spot going forward, use a combination of physically looking and checking your mirrors while slowly moving your vehicle. Rear-view cameras can be a big help here if your vehicle has them. Learning the proper technique for parallel parking can also help. If you’ve ever driven over water and felt your engine rev up without gaining any speed, you’ve experienced hydroplaning. Hydroplaning is when your vehicle loses contact with the road because a layer of water gets between the tire and the concrete. Since your vehicle isn’t making contact with the road, you have no control over it when you’re hydroplaning putting you in a prime situation for a collision. You can handle traction problems preemptively by driving slower during and after rain storms, especially when you can see water accumulating on the road. Don’t panic if you’re hydroplaning; instead release the accelerator and apply steady pressure to your brakes. Animals aren’t always the best at understanding how motor vehicles work and that getting in the way of a moving one is a very bad idea. Wildlife can be unpredictable and do things like run back into the way of your vehicle after getting out of the way. The NHTSA claims that animal-related collisions account for around 1.4 percent of crashes, making it a less common, but still sizable, accident type. Larger animals can cause severe damage to your car and harm to its occupants. 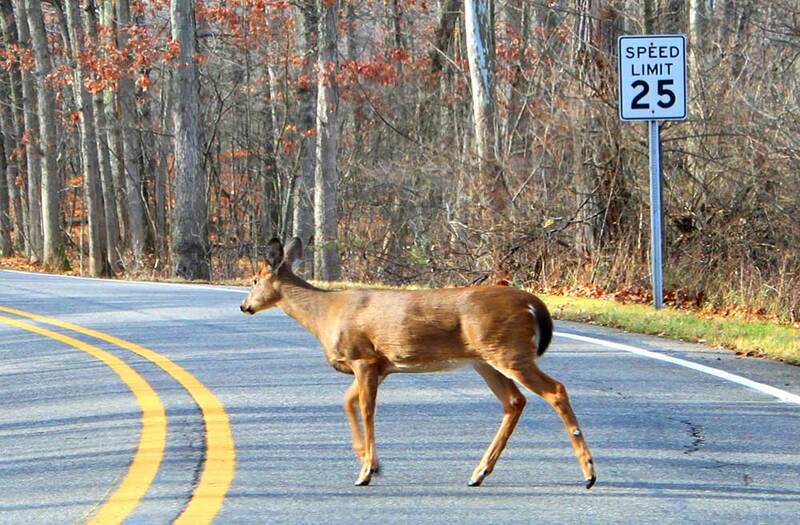 Slow down or come to a stop if you see an animal dart into the road. Driving the speed limit makes it easier to stop if there’s an animal in the way. Additionally, pay attention for wildlife crossing signs and use your high beams at night for better visibility. Roughly 36 percent of crashes happen when vehicles are turning or crossing at intersections; many of these accidents are side-impact crashes. Vehicles can’t sustain as much damage on the sides, making side-impact crashes extremely dangerous. Side-impact crashes make up around 27 percent of all passenger vehicle deaths. Your best defenses against this kind of crash are to be extra attentive at intersections by obeying right-of-way and looking both ways for traffic before going. Coming to a complete stop at red lights and stop signs gives you some buffer time to examine the situation. If you’re at an intersection and you see an oncoming vehicle that’s supposed to stop but doesn’t look like it’s going to, wait for the other vehicle to go first. Unfortunately, the road isn’t the most forgiving learning environment as consequences are very real. If you feel like you’re narrowly avoiding accidents frequently or don’t know how to handle yourself around irresponsible drivers, you may have a lot to learn by enrolling in a traffic school class or a defensive driving program. You can also get your ticket dismissed if you were at fault in an accident, avoid raising your insurance rates, and learn how to be a better driver by taking traffic school courses.